2017 marks the 75th anniversary of the Beveridge Report, which was heavily influenced by Beatrice and Sidney Webb’s research on social reform. 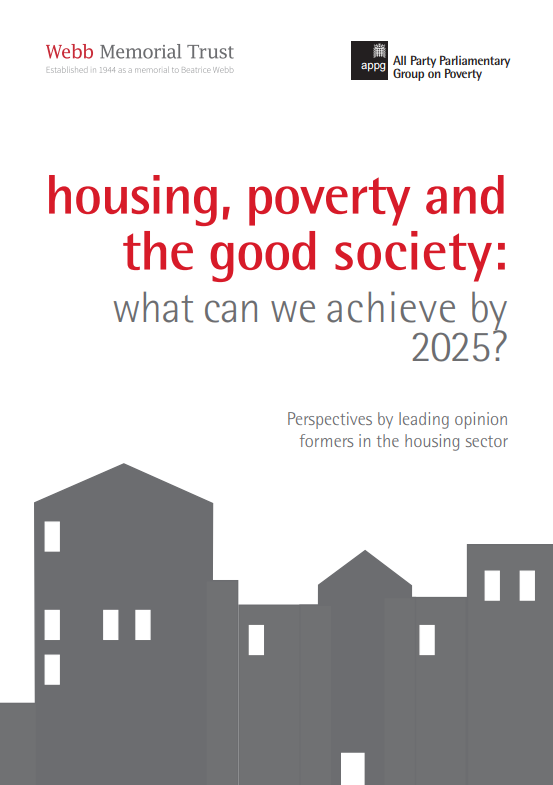 The report offered a post-war strategy for tackling housing poverty, including a cross-party consensus for a national affordable home building programme. Although the slum housing is no longer a driver of poverty on the scale it once was, we are today facing a modern housing crisis. In fact, housing still remains arguably the ‘wobbly pillar’ of the welfare state and in more and more areas homes to rent or buy are unaffordable to people on low to average incomes. Overcrowding and homelessness is increasing, housing conditions in the fast-growing private rented sector are deteriorating, and the gap between supply and demand keeps growing.